Countertops come in all sorts of styles and from all sorts of materials. Knowing a bit about each type of countertop material can make selecting the best countertop for your home or business a lot easier. We know, it’s a pretty stressful process, the countertop you choose will be in your home for a very long time to come so it’s important that it’s something you love. Atlantic Countertops can provide you with the best solutions for the design of your home, as well as your budget. There are literally hundreds of colors, designs, materials, and textures to choose from. We have installed hundreds of countertops around Raleigh and surrounding areas, giving us the experience and expertise that is unmatched in the Raleigh area. Other companies may say they do, but just don’t have the sheer volume of experience that we bring to the table. Solid Surface countertops are made of a very durable, man-made acrylic that is available in a number of colors and patters to fit almost ANY need. Many patterns closely mimic natural stone, but are available at a fraction of the cost of natural granite and without the ongoing maintenance. Low-cost, attractive and low-maintenance – a smart decision. Solid surface will naturally resist stains, moisture and is heat resistant – but can still be burned or discolored when exposed to high heat. They repair easily and are easily shaped to your needs. 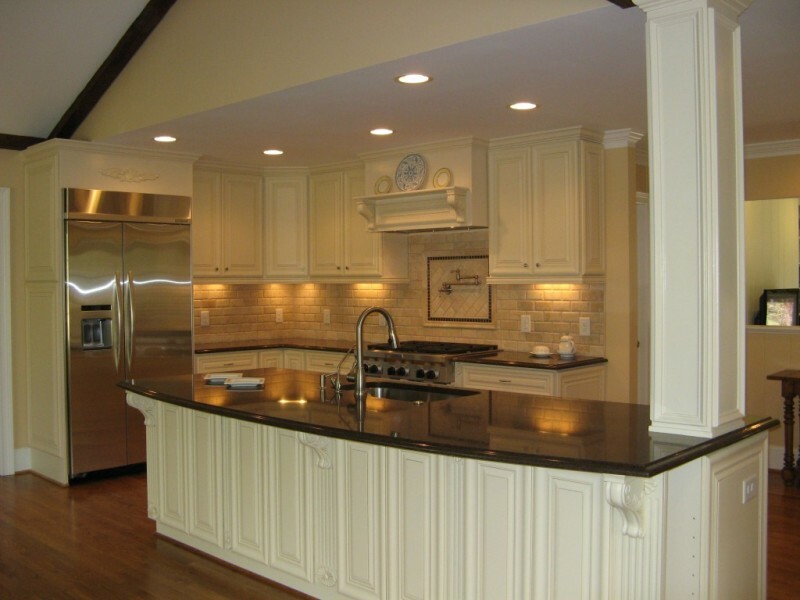 Learn more about solid surface countertops. 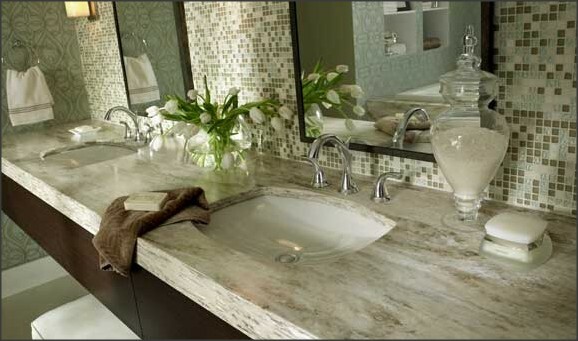 Corian® countertops are very popular style of solid surface countertop for several reasons. They are one solid piece, including backsplash and even sink, if desired. Corian® countertops provide a stylish look and feel that only Corian® countertops can provide. If you’re looking for something a bit “different”, Corian® may be the way to go. Granite is one of the most popular materials used for countertops. Once only seen in palaces and temples, it can now upgrade your home in a way that only granite can seem to pull off. We offer a wide variety of colors and patterns of granite countertops and will thoroughly explain how to properly care for your granite countertop. Not only is initial install important to us, we want your countertop to be there for you for as long as possible! 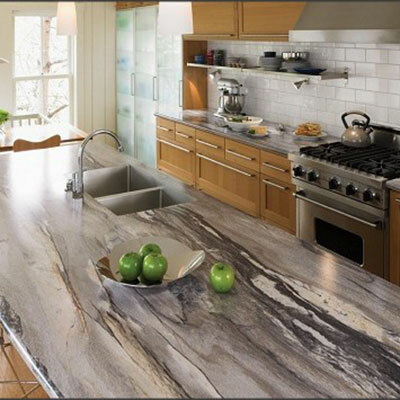 Quartz is a relative newcomer in the market and has quickly become a very popular choice for countertops. Quartz countertops provide the natural beauty and elegance of natural stone along with a virtual indestructible quality. Also available in a wide variety of colors! Quartz is a great choice for almost anyone, you’re sure to love it. Today’s laminate countertops are not the laminate countertops you saw in your grandparents house. The textures, patterns, and colors can closely mimic natural stone at a fraction of the cost. Laminate countertops also come in a wide variety of other colors and styles. Easy to maintain, looks great and very affordable – a perfect combination!